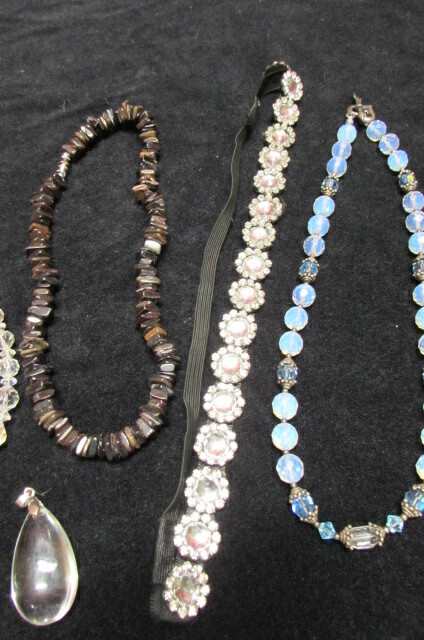 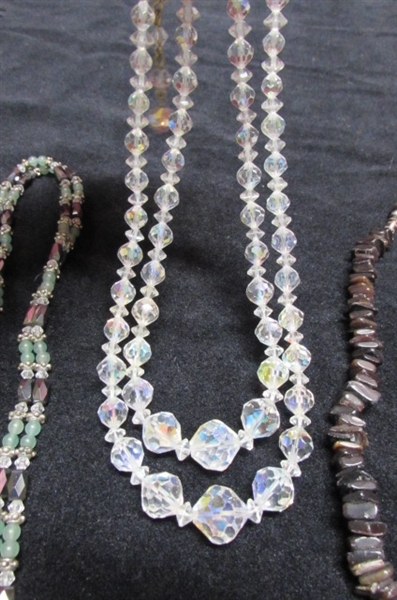 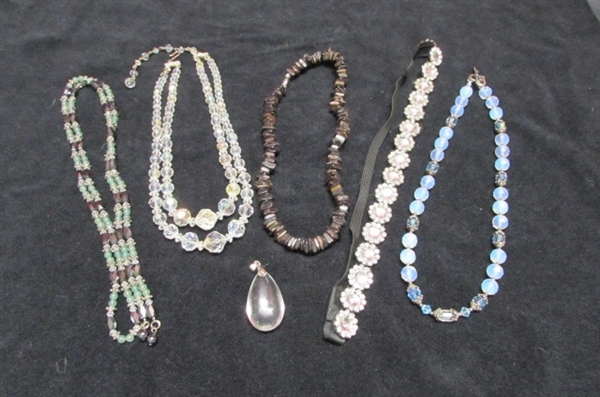 Be in style with some bling this holiday season with this collection of necklaces. 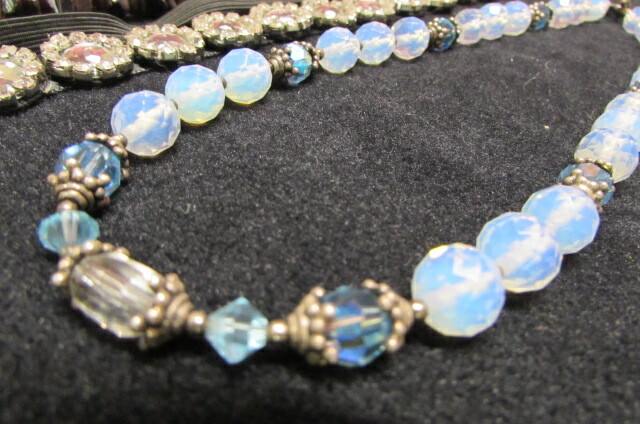 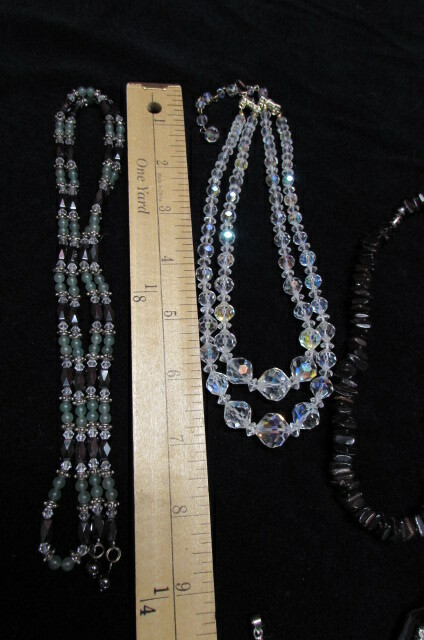 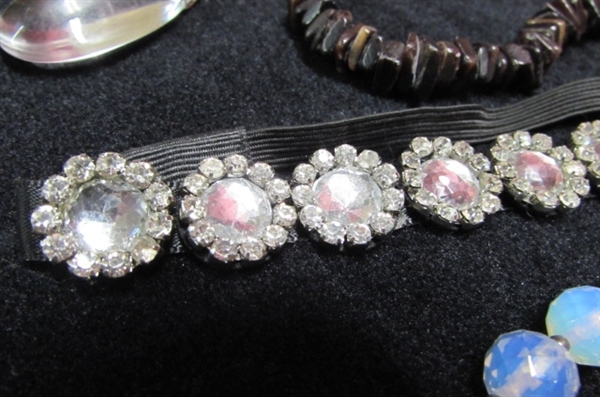 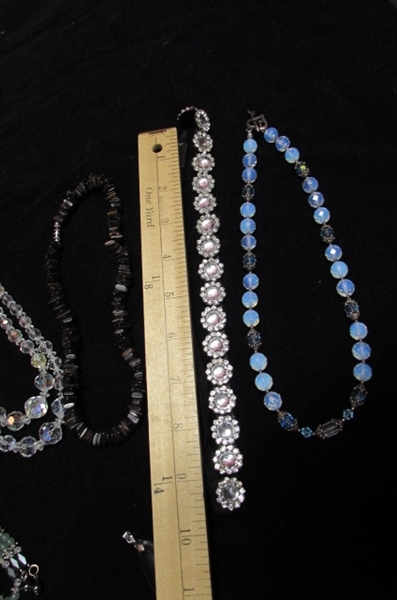 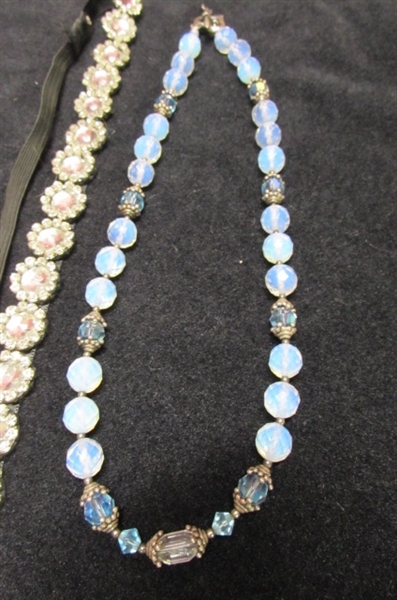 Vintage Aurora Borealis faceted crystal necklace. 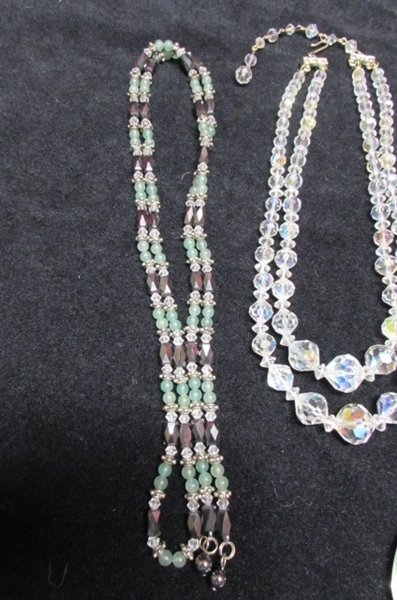 Rhinestone choker. 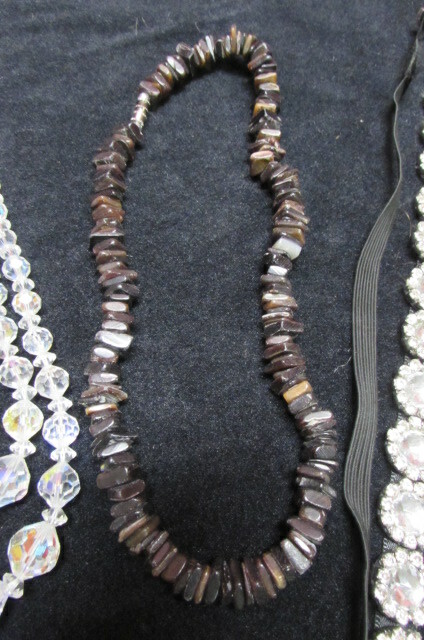 Stone chip necklace. 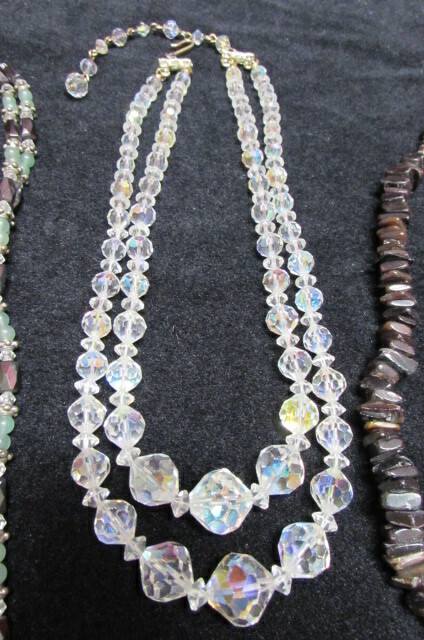 Faceted moonstone necklace. 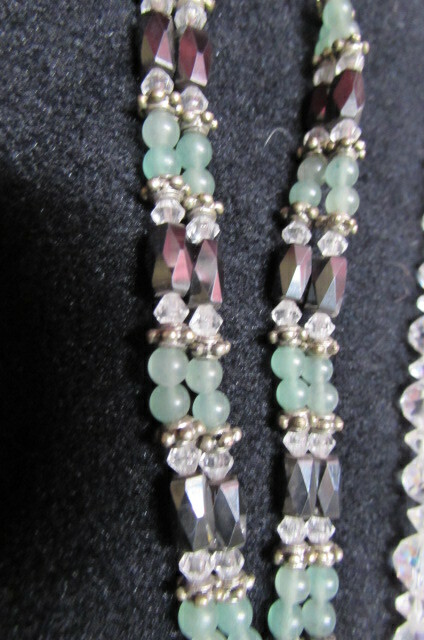 Magnetic Hematite & green Aventurine necklace. 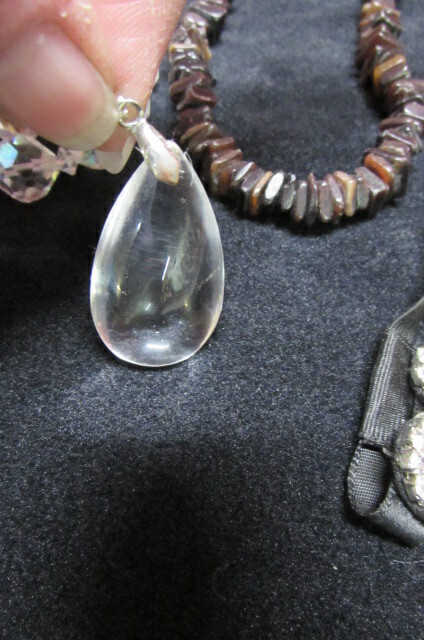 Smooth glass teardrop shaped pendant.